Finally I have discovered a boot that I can recommend to patients with chronic plantar fasciitis who are required to be in boots. The Tactical Research Mini-MiL. It is a military boot created by a company known as the Belleville Boot Company and it features a Vibram Sole. 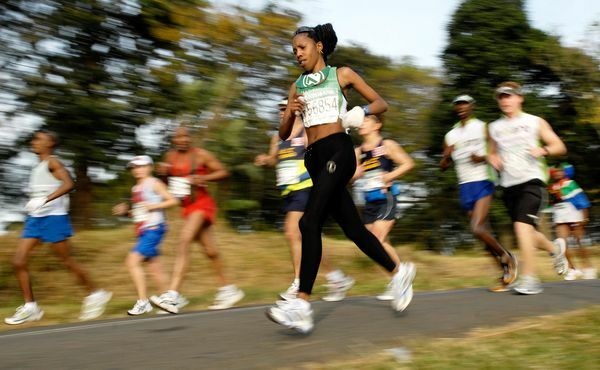 The boot has a 5mm heel to toe drop and was designed for those who are used to running and training in minimalist shoes. A true minimalist boot featuring a 5mm “drop” between the heel & forefoot, theMINI-MiL™ is designed specifically for the conditioned warrior athlete currently training in minimalist athletic footwear. This quick-drying unlined boot is not only highly breathable, but lightweight too – weighing less than 2 lbs a pair. The Bellville Boot Company web page features a great post about the MINI-MiL boot and how to properly transition to a minimalist boot. 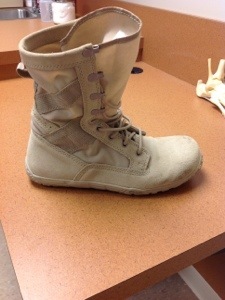 I discovered this boot this week by a patient in the Army who was a runner and was suffering from foot and knee pain that he resolved with minimalist running shoes. Basically he learned how to function and run more naturally. 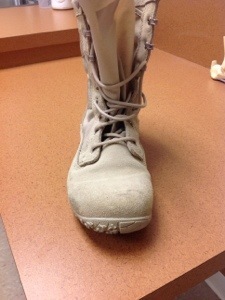 He then began wearing the MINI-MiL for while at work and has never switched back to a traditional military style boot. I have yet to fully review each boot the Belleville Boot Company but I do know they offer a steel toe model, but it is not a minimalist boot. I will be in touch with Belleville and make any updates regarding a steel toe minimalist boot. The MINI-MiL can be purchased below from Amazon. Great article and I totally love this boot!. Well made, durable, and simple. Thanks for sharing this. This is what I call good engineering! 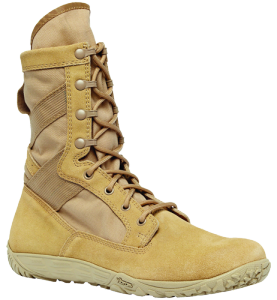 The tactical boots are specifically designed for a warrior athlete to compete against all kinds of tough terrain and weather conditions. The shoe is quite comfortable, light-weight, durable with a padded Achilles support that lowers the amount of pressure on the knees and ankles while running. I have worn these boots for well over a year now and work with 3 other people who also own them. 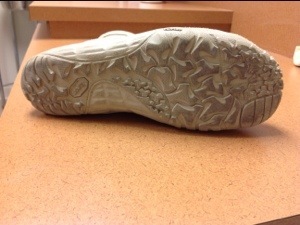 They will take you 3-6 months to break in, unless you cut the plastic out of the heel. 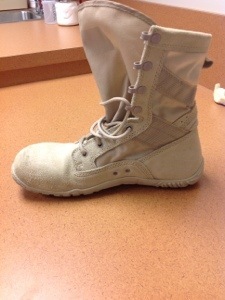 These are also the boots I developed Plantar Fasciitis in. I dont recommend these boots to anyone who has feet issues. They are light but so are half the boots on the market. Don’t take a doctors word on how these boots are a fix all because I guarantee he does not wear these everyday! Plantar fasciitis is the severe condition of heel pain. It happens when the plantar fascia muscle in you foot get anyhow damaged or infected. It’s a very painful condition specially in the morning of first step. If you are suffering from this, don’t worry about it because it could be cured by taking proper care and using plantar fasciitis boot/shoes as those are specially designed for this very purpose.